Burbank, Calif. September 28, 2004 ? On December 7, Warner Home Video will celebrate the life and career of Academy Award®-winning director George Stevens with a seven film DVD collection featuring six of his most acclaimed works along with a moving portrait of his career directed by his son, George Stevens, Jr. Debuting on DVD, Gunga Din, I Remember Mama, George Stevens: D-Day to Berlin and George Stevens: A Filmmaker?s Journey will each be available for $19.97 SRP. Alice Adams and Woman of the Year will also be priced at $19.97 SRP and the Giant Two-Disc Special Edition will sell for $26.99 SRP. Born on December 18, 1904 in Oakland, California, Stevens began working in the film industry as a cameraman during the 1920s, shooting comedies, including Laurel and Hardy films, at the Hal Roach studio. Stevens went on to direct Katharine Hepburn in the 1935 film Alice Adams, which proved he had a wider range than comedy. Stevens enjoyed continued success and three of his films, Swing Time, Gunga Din and Shane have come to be regarded as classic examples of their respective genres. Stevens received five Academy Award nominations for directing and, in addition to his win for Giant, also won the Oscar® for his work on A Place in the Sun. As a producer Stevens was nominated for four Oscars when the two aforementioned films, along with Shane and The Diary of Anne Frank, were nominated for Best Picture. Stevens also received the Irving G. Thalberg Memorial Award in 1953 and served as president of the Academy in 1958 and 1959. Gunga Din ? This beloved Academy Award-nominated film stars Cary Grant, Victor McLaglen and Douglas Fairbanks, Jr. as three fun-loving soldiers in British India. When one of the soldiers wants to leave the service to get married, the other two trick him into completing one final mission which leaves them trapped in combat with a murderous sect in colonial India. 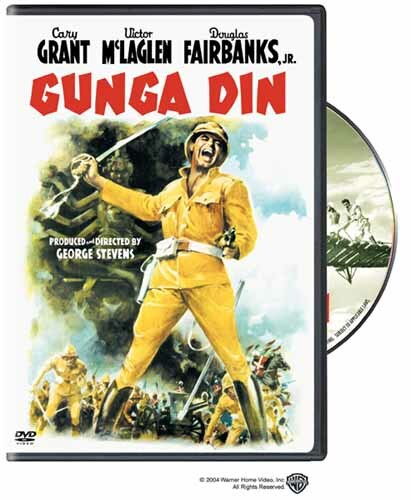 Stevens masterfully mixes action and humor, making Gunga Din one of the ultimate Hollywood action-adventure comedies. I Remember Mama ? Loosely based on Kathryn Forbes? book, Mama?s Bank Account, I Remember Mama chronicles the struggles of a Norwegian immigrant family in 1910 San Francisco. 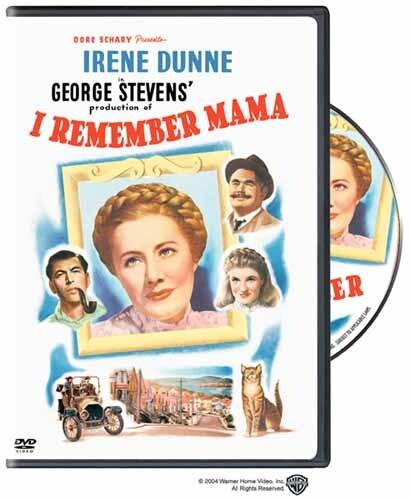 The film stars Irene Dunne (My Favorite Wife) as Mama, Barbara Bel Geddes (?Dallas? ), Oskar Homolka (The Seven Year Itch) and Ellen Corby (?The Waltons?) who all earned Academy Award nominations for their performances. 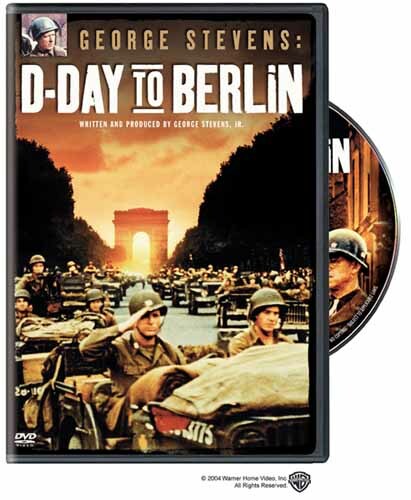 New introduction by George Stevens, Jr.
George Stevens: D-Day to Berlin ? 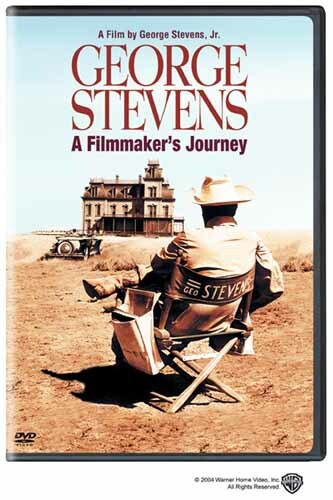 Produced and narrated by George Stevens, Jr. from his father?s films, this documentary of Stevens? World War II combat photo unit includes his remarkable color footage of the War in Europe (the only color film of the ground war). This three-time Emmy Award® - winning documentary provides a rare look at history as it happens, capturing the horrors of World War II as seen on the frontline. From the Normandy invasion to the liberation of Paris, Stevens? powerful, unforgettable documentary captures all these moments and more. George Stevens: A Filmmaker?s Journey ? Also created by George Stevens, Jr., this moving portrait celebrates the acclaimed filmmaker?s career and explores some of his most unforgettable films including Alice Adams, Swing Time, Gunga Din, Shane and Giant. Using a new Hi-Definition master created for this DVD release, the documentary includes newly restored sequences from many of Stevens? most memorable film classics, along with captivating interviews with more than 20 actors (including Katharine Hepburn and Fred Astaire) and such esteemed directors as Frank Capra, John Huston and Alan Pakula. All DVDs feature Dolby Digital® sound.